Unfortunately, toys are being counterfeited like never before. According to the OECD-EUIPO study conducted in 2016, the estimated value of global trade in counterfeit toys and games was worth USD 9.72 billion (EUR 7.12 billion) in 2013. This means 11% of trade in games and toys was lost due to counterfeits, making this industry the second-worst affected by global counterfeiting problem. Counterfeiting in Toys industry has to be stopped at any cost and preventing the counterfeits of its products is a social and moral responsibility of each and every toy company. 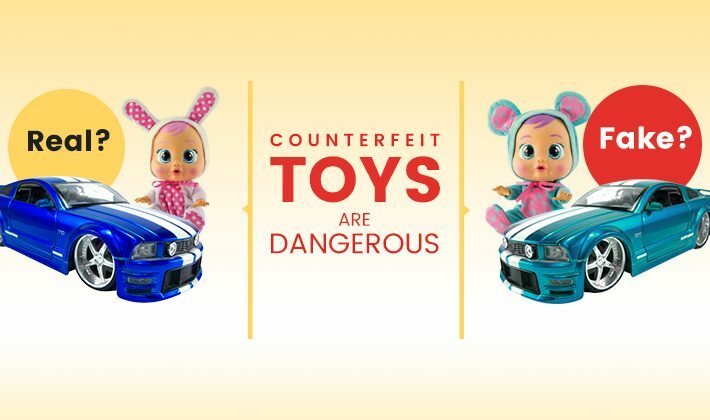 Counterfeit toys not only harm the original brands’ business but also pose health and security risks for the infants and kids. These toys are usually made of substandard materials. Many toy companies these days outsource the manufacturing of toys or toy parts to the third-party vendors, and the company may assemble the toys (if needed) at their assembly unit. After that the toys go through rigorous quality checks, to make sure that the toys are safe to use. Toy companies put in a lot of efforts in designing the toys innovatively so that the toys are fun and safe for the kids. Whereas, counterfeiters steal the toy designs, get them manufactured using low-quality raw materials and illegally sell fake toys in the brand’s name. Many counterfeit toys may look like exactly the same as original ones, but they are usually made of low standard parts. And these toys certainly don’t go through the required quality checks. So the toys may have a faulty electrical circuit, sharp edges, broken or chipped parts. Counterfeit toys tend to break easily and become a choking hazard. There have been many incidents reported of soft toys being stuffed with hazardous, toxic materials. The revenue of toy companies falls because of counterfeit toys and this results in loss of jobs every year. Counterfeiting of toys can be stopped only if toy makers start deploying effective Anti-Counterfeit measures and their end-customers have a way to verify the authenticity of the toys. If the toy turns out to be fake they should have a simple and quick way to report the counterfeits. NeuroTags provides a foolproof solution for preventing the counterfeits. The solution is simple to deploy and does not disturb the current production line of the company. 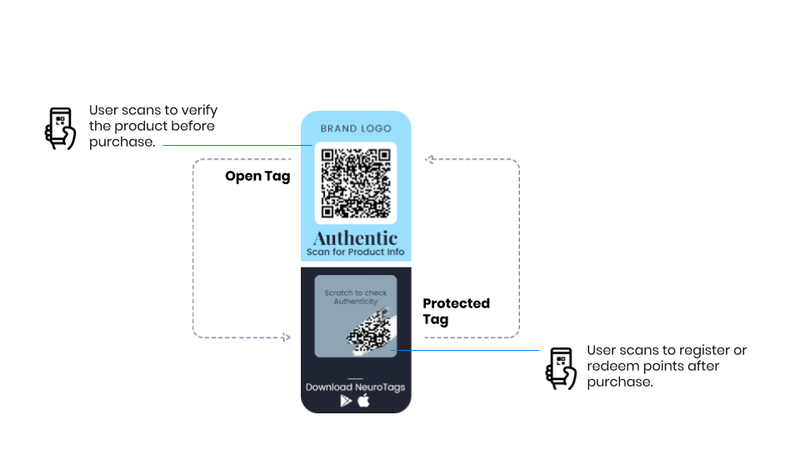 NeuroTags provides crypto tags, which are to be applied on the toys/ toy packs to protect the toys against the counterfeits. Each tag consists of two parts – Open tag and protected tag. Open and protected tag are algorithmically coupled and are backed by patent-pending technology & AI. The tags are monitored and protected by algorithms and AI on the server in such a way that, if a counterfeiter tries to replicate the tags, anomaly detection algorithm catches it and the products with copied tags get invalidated. More information about the solution can be found here. Please contact us to know more about NeuroTags offerings.